15 May Rain, rain, don’t go away! Stay around for many days. The Autumn break has hit the south this week and the rainfall has provided both a lift to spirits and prices. Although, the price gains are somewhat marginal as pressure remains from strong supply of sheep and lamb stemming out of NSW. The Eastern States Trade Lamb Indicator (ESTLI) closed yesterday 3¢ higher for the week to see it just shy of the six-dollarmark at 598¢/kg cwt. East coast mutton performing a little better with a 9¢ lift to 446¢/kg cwt. – Figure 1. Weekly rainfall totals highlight that much of Victoria has benefited from the beginnings of the Autumn break, with some light falls extending into NSW – Figure 2. 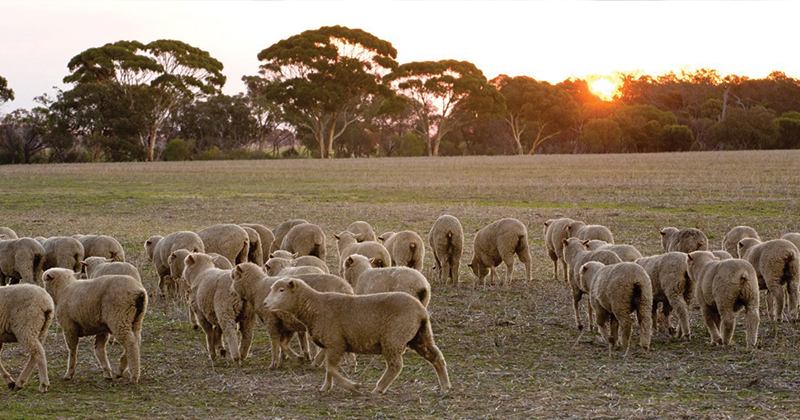 The arrival of the rains has certainly stemmed the decline of lamb and sheep prices in Victoria with sale yard NLRS reporting modest gains of up to 2% across nearly all categories. Victorian Restocker Lambs the exception, closing 4% softer to 573¢/kg cwt. Unfortunately, not enough rain heading into NSW to halt the price softening. Curiously, sale yard prices in NSW displaying the exact opposite pattern to Victoria with all reported categories 2-4% softer except for NSW Restocker Lambs – which posted a 6% gain to close at 602¢/kg cwt. In the West Trade Lambs virtually unchanged at 614¢/kg cwt and WA Mutton took a bit of a hit to see it 15% lower during the middle of the week to dip below 375¢/kg cwt. WA Mutton yardings rebounding this week from 4,000 to 17,000 head and sitting 13% above the average for this time in the year a likely factor in the softening prices there. East coast lamb throughput continues to behave in a somewhat volatile manner, largely driven by NSW flows. East coast lamb yarding levels were up 70% week on week to see nearly 196,000 head change hands. This was spurred on by the rebound in NSW lamb yarding levels this week which posted a 63% lift to see over 140,000 head go through the sale yards – Figure 3. The rainfall forecast for the next week shows some great falls for the Gippsland region of Eastern Victoria but little else for the rest of the country. The rain in Victoria this week is probably enough to support sheep and lamb prices there but NSW will continue to struggle if they remain dry. On balance its likely to see East coast prices consolidate this week as the improved Victorian situation will be offset by a softer bias elsewhere.